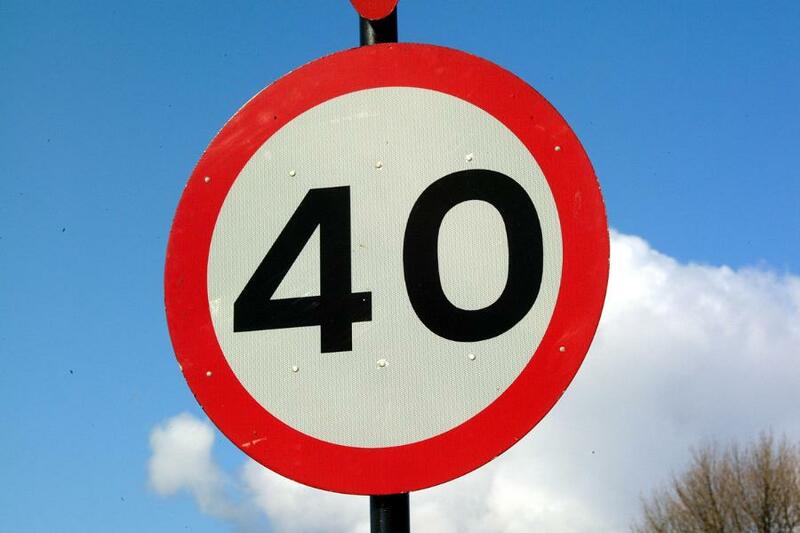 I have to admit something: I feared turning forty. I especially feared hitting forty when I was fat and sluggish at 174 pounds. When I hit 38, I vowed to make fitness a priority. On my 39th birthday, I was 16 pounds lighter. But more than the weight, I became stronger. I had better physical endurance. I did not get tired easily. I was not breathless in climbing stairs. For my 40th birthday, I was hoping to reach the 140’s. It did not happen. In fact, I am a few pounds heavier now, than my last birthday. But I am not at all upset. On my fortieth birthday, my best friend and I were in Kyoto, Japan. We sponteanously decided to head to the summit of Fushimi Inari-taisha, some 4 km up the mountain. It was a two-hour trek. Of course, it’s not a major mountain to brag about. But tackling the steps heading up in the summer heat was not exactly easy. In the past, as much as I wanted adventures like this one, I would opt to ride the horse to the peak or ride one heading down. If transport was not an option, I would give up. But this time, we both made it to the top and down, commuted back to our hotel, did some shopping, and even walked several blocks to our restaurant for dinner. I was not breathless going up, and my knees were not in pain. Midway through our trek, my best friend took my photo. When I look at that photo, I see a happier, stronger, and leaner version of me. I now look fit and healthy. I feel that way too. Don’t get me wrong. I am still working to lose some 20 pounds. But I feel great. I am a work in progress. 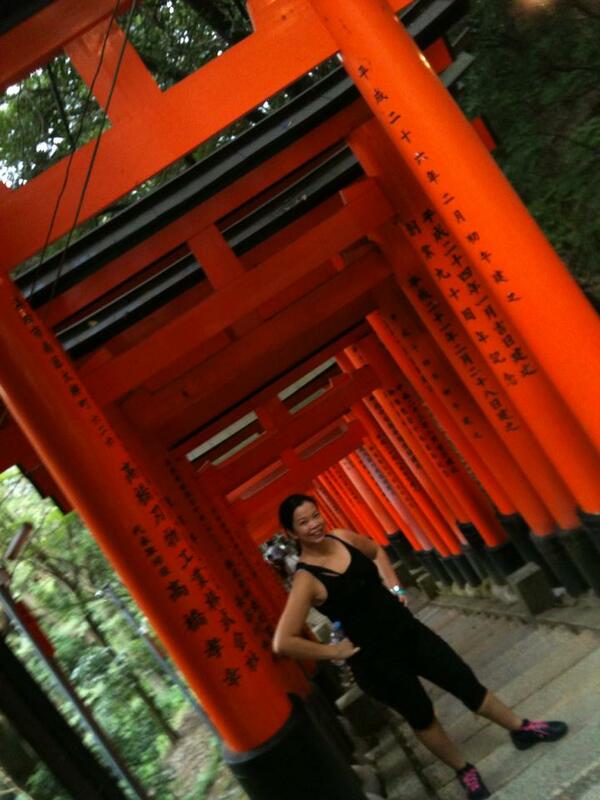 Me on my 40th birthday at Fushimi Inari shrine, resting as we hiked up to the summit. I feel fit to face my forties. My high school friend Ava sent me a birthday greeting saying, “You are my fitspiration for my 40’s.” I was so touched. I am no athlete. I don’t have dreams of joining the Iron Man. But I am fitter than I have ever been in life, and that’s something to celebrate. Slower Metabolism- It slows down by 2% per decade. Muscle mass goes down by 6 to 7 pounds from 10 years ago. Bone density drops by 1% a year since your mid thirties. Read the magazine article offers ways to address the changes. I still have much to learn about our bodies in our forties. It is time to educate myself. This is just the beginning. The fitness path is a journey. I am a work in progress. So are you all. But as we hit our forties, it is time to get to know the changes in our bodies. It is also time to address these changes, to ensure our healthiest selves. Hitting forty is also a great time to feel safe in your own skin, to embrace who you are ‘warts and all.’ So if life begins at 40, bring it on…. Let’s prepare for the ride! Maida’s Touch: Feeding Restless Appetites!